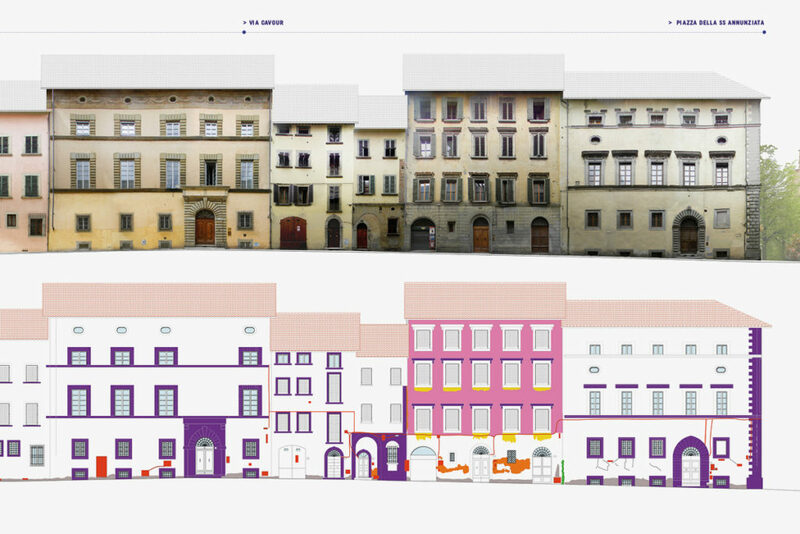 The project is directly inspired by the concept of “urban scenography”, central to PIUSS – the Tuscany Region Integrated Sustainable Urban Development Plan, involving SEUM as an active proponent of a project program carried out in conjunction with the Arezzo Municipality. 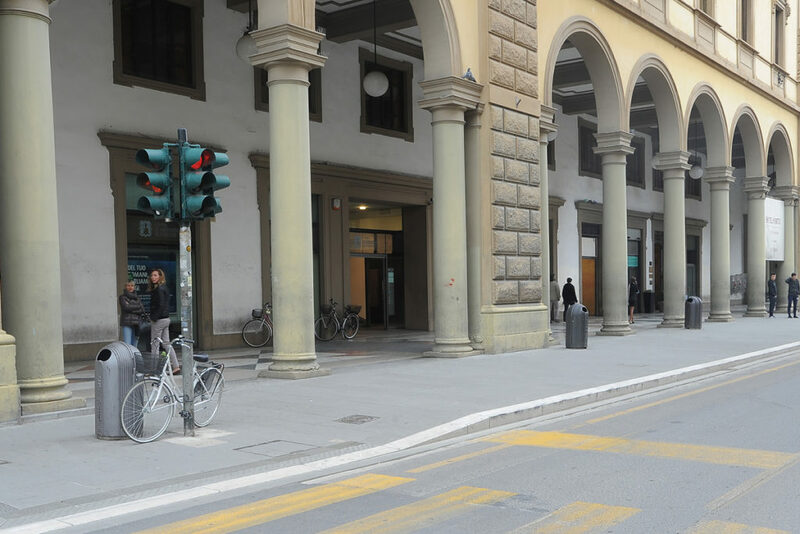 The original programme developed through works on public components: road signs, identification and orientation signs, topographic markers, public lighting and urban furniture. 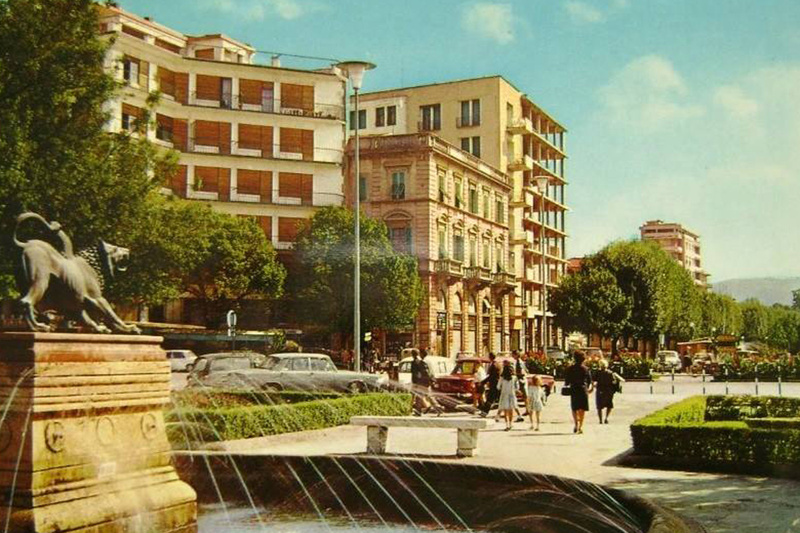 However, the aforementioned is not sufficient for changing and defining a city image coherent and coordinated with its historic and environmental history. 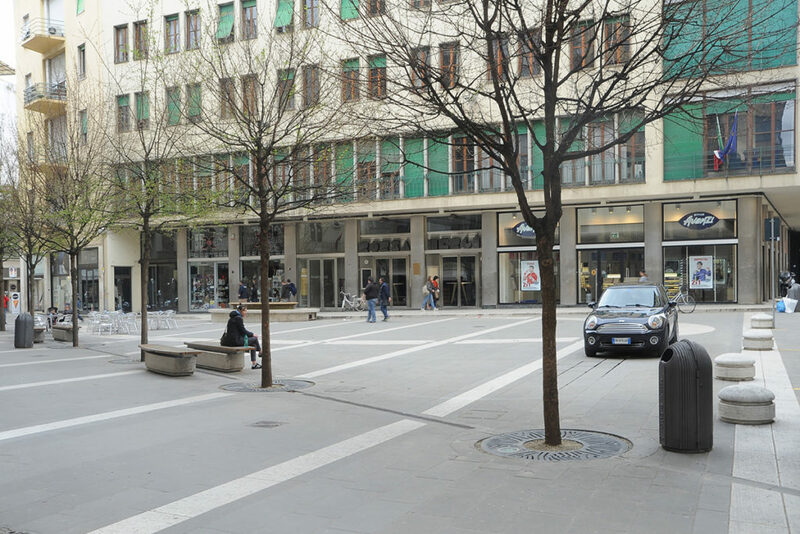 Private sector components: retail and business, as well as the behaviour of citizens, are all crucial factors which determine urban scenography, much more so than the public domain. Given that it was not possible to develop certain kinds of projects, due to private restrictions or limited time, we developed the concept of ‘process’, as something which develops over time, achieved by raising awareness and encouraging respect of the rules of cohabitation and use within urban spaces. 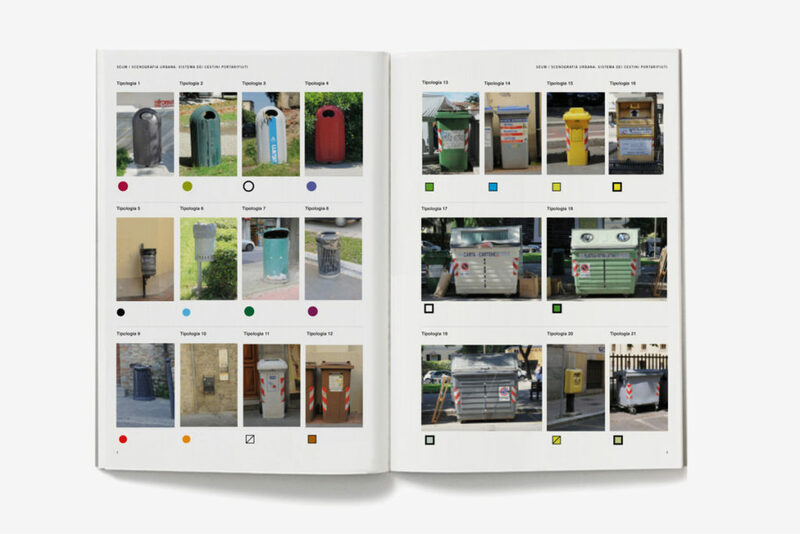 SEUM resolved to study some of the most important systems: outdoor and dining areas and signs, the system of waste containers and separate waste collection, the system of façades. 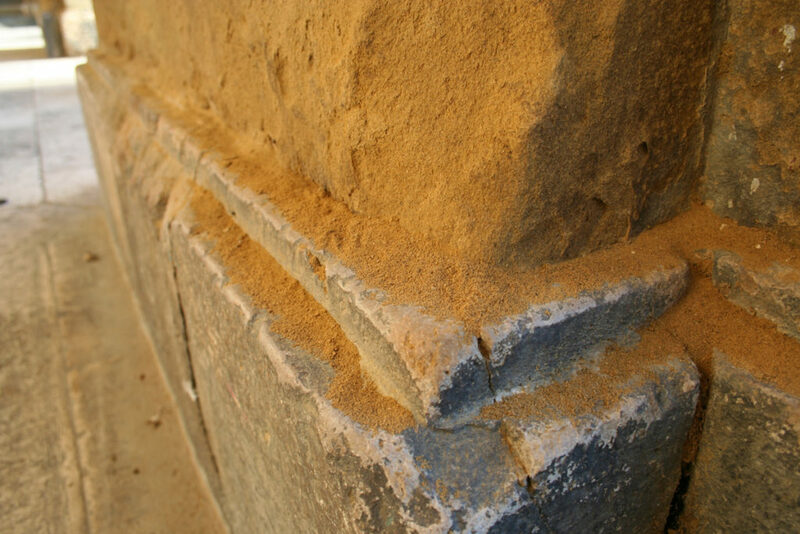 The last aspect was only inserted in the plan due to the sheer state of deterioration identified. 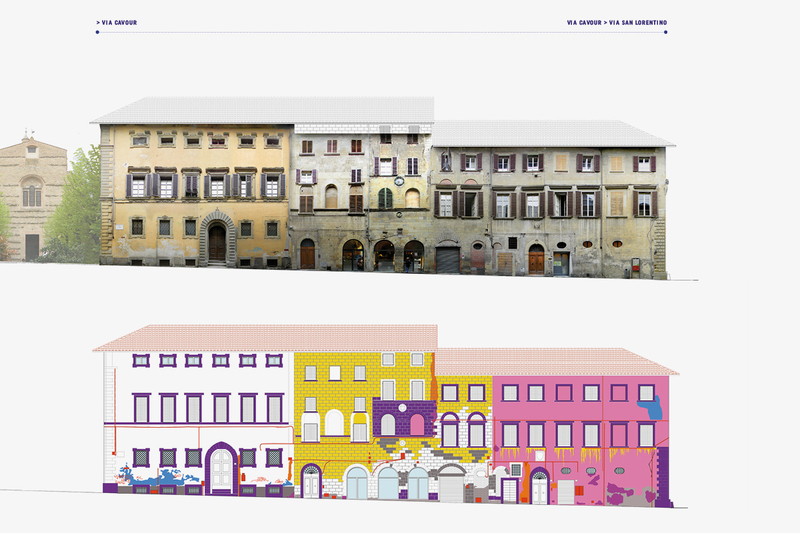 SEUM breathed new lifeblood into this part of the initiative, initially by conducting in-depth historical research into form, material and colour in the city of Arezzo over the centuries, and then via the definition of colour notation parameters and the proposal of guidelines for a Colour Plan. Monuments and buildings included within this system are protected by the Ministry of Cultural Heritage and Activities and Tourism via Superintendencies throughout the territory, however the minor historical building heritage is not subject to any regulatory management whatsoever. Therefore we resolved to study how we could protect and promote this particular sector. We began with a preliminary analysis of the façade system: forms, materials, colours and artefacts, installations and interference, with focus on both fundamental aspects of the historic city. Photo maps were created to survey the current state and conditions of buildings. This provide us with an overall picture and necessary information on how to proceed sustainably and coherently with the city’s image. 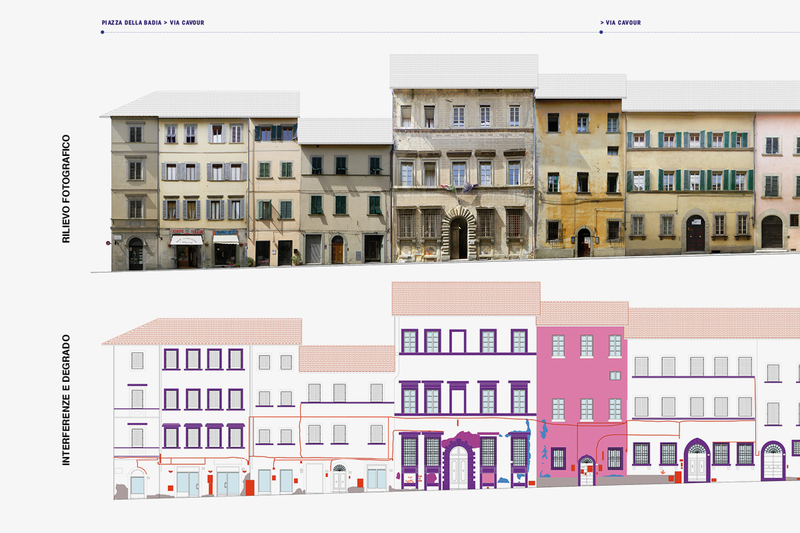 This constituted the first step towards defining a veritable and articulated plan of façades, establishing rules for the use of various elements: window fixtures, installations and systems, street numbers, post boxes, as well as guidelines for colour design and management. The plan also considers correct operational procedures with reference to application, the suitability of materials, the qualification of skills and suitable training paths for different professionals involved. 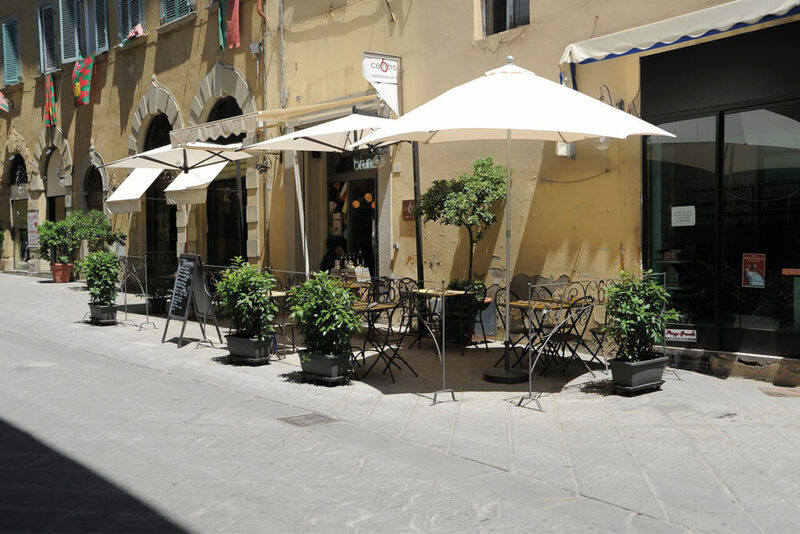 What emerged was that there was a state of profound degradation in the historic centre, due to a lack of adequate maintenance, and that over time this situation may result in considerable damage to buildings, their owners, and above all, the city’s overall image. All collected material was then used to develop three corollary and inter-related projects: the system of façades, the Arezzo colour study, coupled with a project proposal for a Colour Plan. As roads and squares were surveyed for the collection of material as part of all three specific projects, what emerged was the need for more in-depth considerations into emotional and aesthetic aspects capable of conveying singularity and identity. 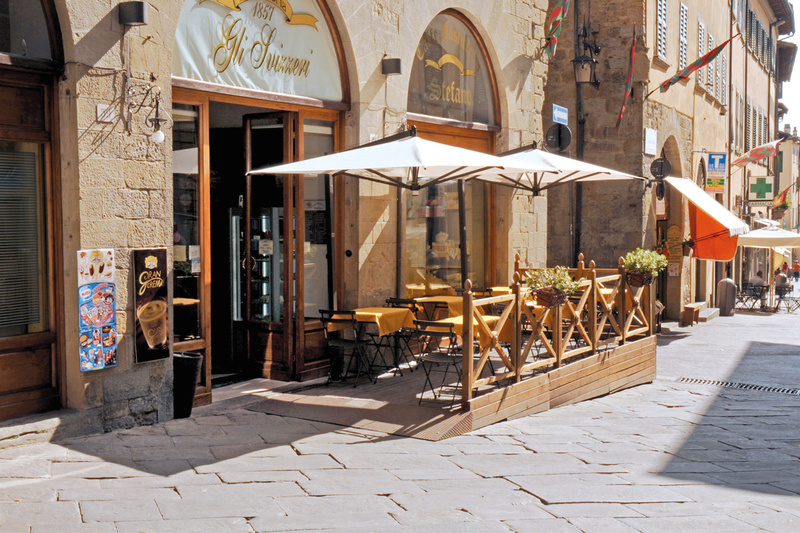 This inspired De Signs Arezzo: two books containing photographs on a theme specially developed by Alessandro Schinco. The first focuses on colour aspects of the city, through the analysis of profiles, façades, material, colour, light and shadow, as intrinsic factors, albeit eschewed by formal or documental values, to the definition of perception and which influence observers insofar as “Vision occurs… at high levels…until it becomes an integral part of our very being…”. The second book highlights elements which distinguish the city’s urban landscape and its identity, through an impressionist vision which leaves aside great monuments and focuses on details, signs, architectures, alphabets, interferences which express and recount the city, because “The city is a stage of signs from the past which overlap… yet… remain constant and constitute a foundation for the judgement and recognition of identity”. Over the last few decades, the original characteristics of façades in the city of Arezzo have withered away, especially in the ancient part within the city’s most recent, Medicean walls. The main causes have been identified as: the absence of a specific plan, scarce interest on the theme and inefficient regulations. 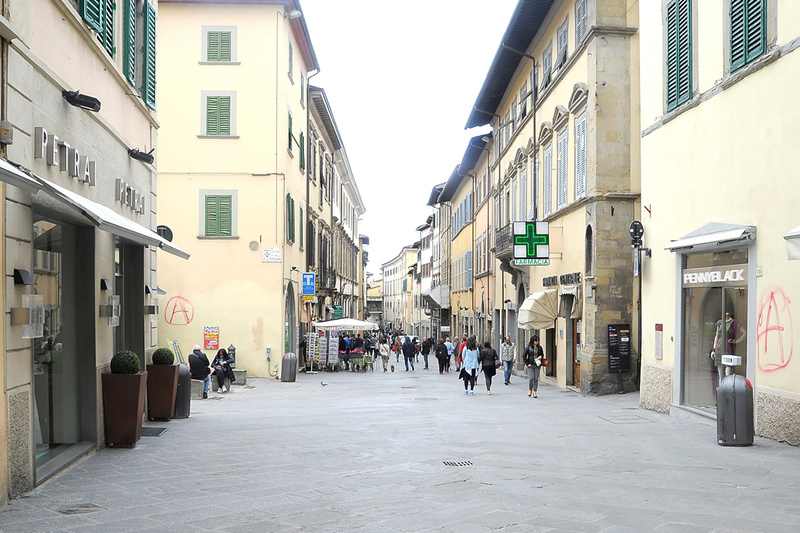 The profile and above all the colour of Arezzo’s historic centre appears disorganised, populated by elements arranged without any criteria or hierarchy. 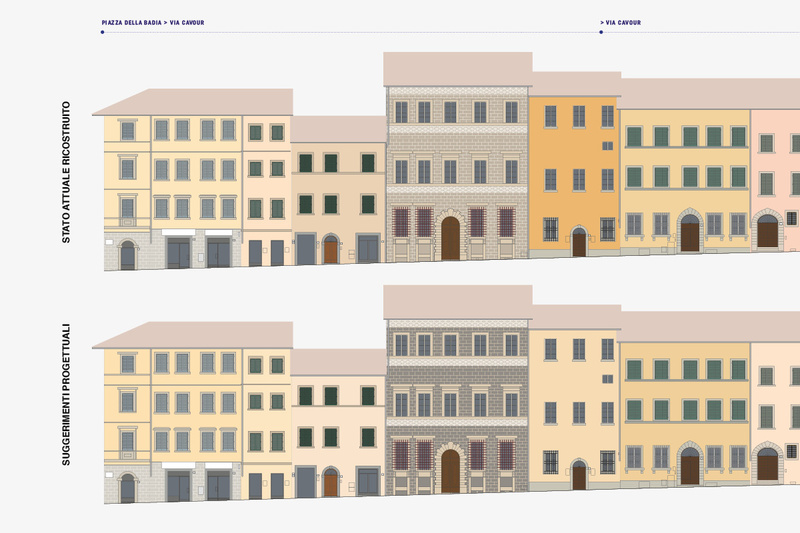 The alternation of colours is random and characterised by a succession of hues devoid of any metric, thus compromising overall perception, the rhythm and mass of façades. Materials used differ from traditional ones, due to the insipience of proposers, exacerbated by erratic regulations and low cost interventions, a very small part of building restoration. Above all, such works, often associated with unsuitable applicative methods, cause rapid deterioration or even greater damage. 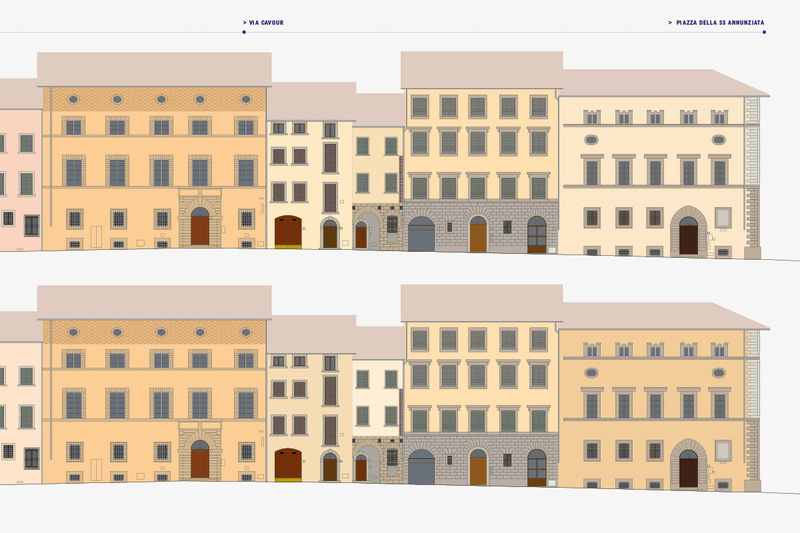 A study of the current situation, regulations and legislation, coupled with a sense of responsibility and a desire to treat minor historic buildings with the utmost respect and sensitivity, has resulted in an intervention ethos and restoration methodologies presented by SEUM in its proposals. Colour must be designed, not just selected, therefore colour noting systems were studied to perceive a range of possibilities in line with canons of tonality, contrast and luminosity, for a scientific perceptive approach, to develop a correct series of design hypotheses. 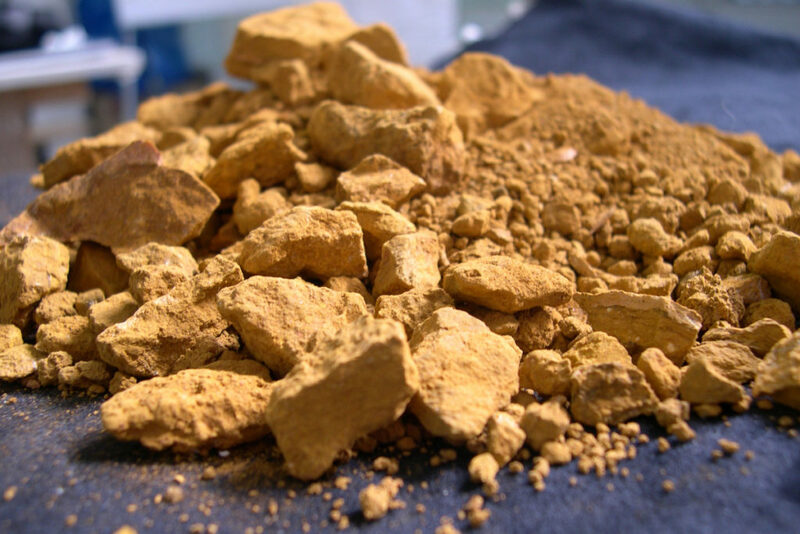 Materials must comply with compatibility, efficacy and sustainability criteria, both in productive and applicative process. The procedure must involve all subjects up and down stream from the process, rather than being imposed without a full understanding of everything that is being proposed for implementation. This interdisciplinary approach involved public functionaries, architects, conservators, visual communicators, in a first step towards defining an instrument involving citizens and increasing their pride and awareness, to establish rules for administrators, professionals and businesses, while also providing suggestions for defining a city brand congenial to its enhancement and promotion. 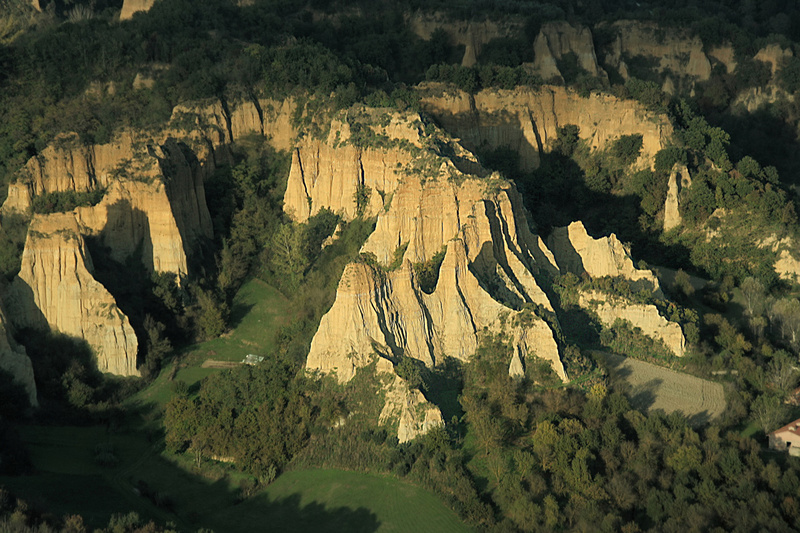 Place defines conditions of form, colour, proportions and the functions of constructions. Landscape, local materials, culture and instruments mould buildings and influence urban planning. The analysis of these factors, coupled with inverse engineering, is congenial to a rediscovery of traditional techniques, instruments and methodologies. Anthropological studies enable us to gauge the purposes and ambitions of people and populations. 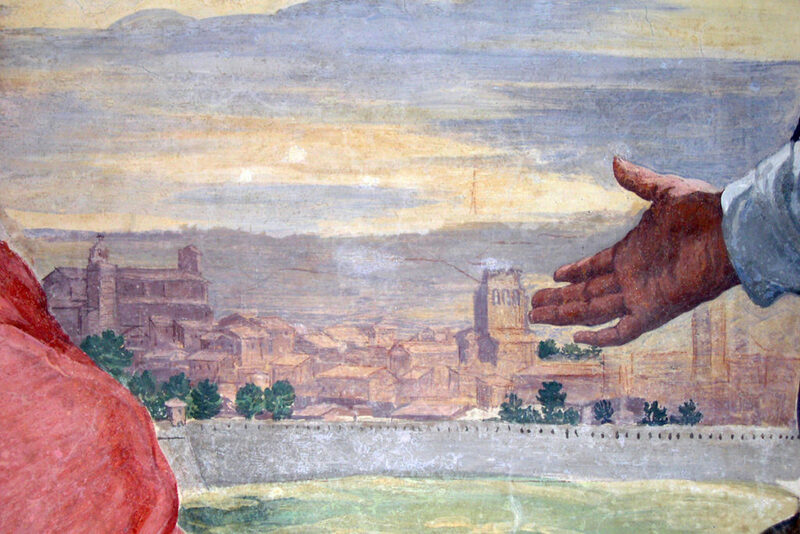 All the aforementioned constitutes the modus costruendi. The cohesion of buildings with inhabitants constitutes the anima loci, the peculiarity and richness which each urban nucleus manifests to those who experience, inhabit and visit it, perceiving it as unique, rare and typical. 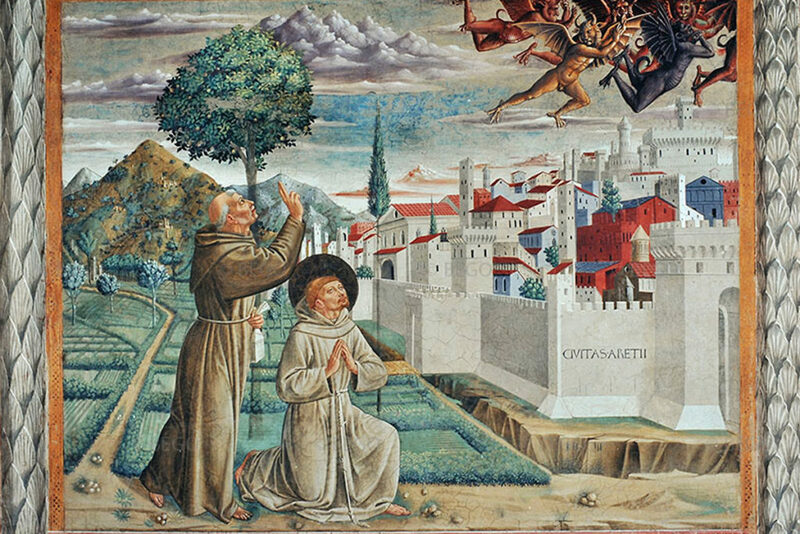 Starting from research on the place, materials, iconography and memory, an attempt was made to identify Arezzo’s image in various ages of history, to understand its population’s soul and hopes, its acts and events. 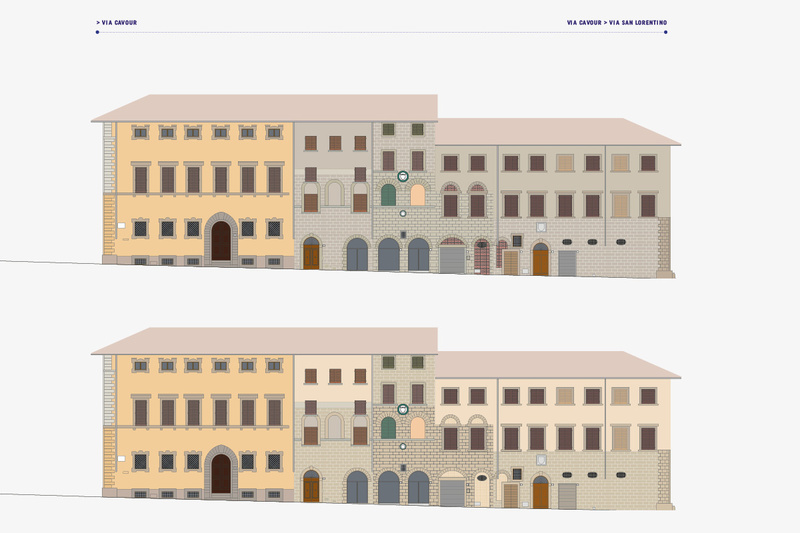 In order to analyse and understand the evolution of façade conformation in the old city, surveys were carried out and charts were used to map the current state, highlighting the obvious state of degradation. Current colour was codified with univocal coordinates and results were illustrated in a reference planimetry. Shortly after the year 1000, the Benedictine monk Rodulfus Glaber wrote: “’The world then shook off the dust from its old vestments, and the earth was covered in a white robe of churches”, an observation not limited to religious buildings but which extended to all constructions, overrun by a widespread trend of lacklustre, light-coloured cladding. 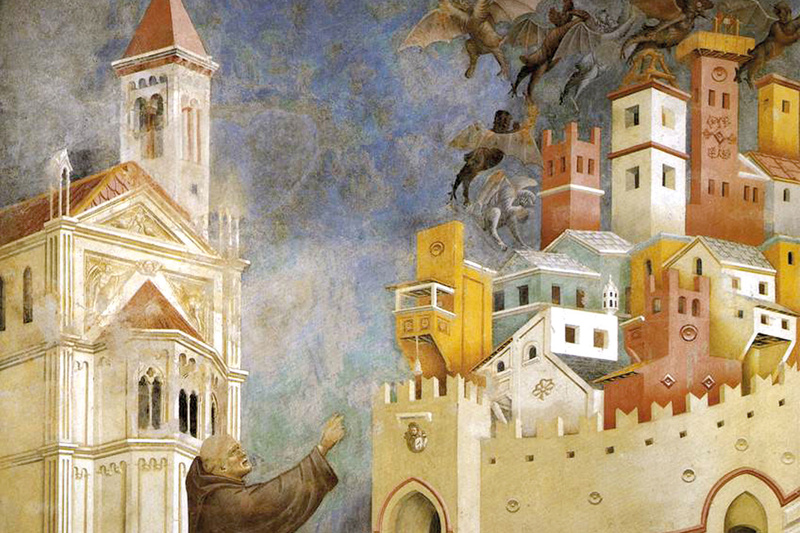 Late Medieval and Renaissance images recount ideal, imagined or real images of towns and cities, with occasional depictions of multicoloured façades, albeit characterised far more often by homogeneous colours ranging from light, near-white tonalities to livid greys, tenuous ashen ochres to more intense yellow-browns. 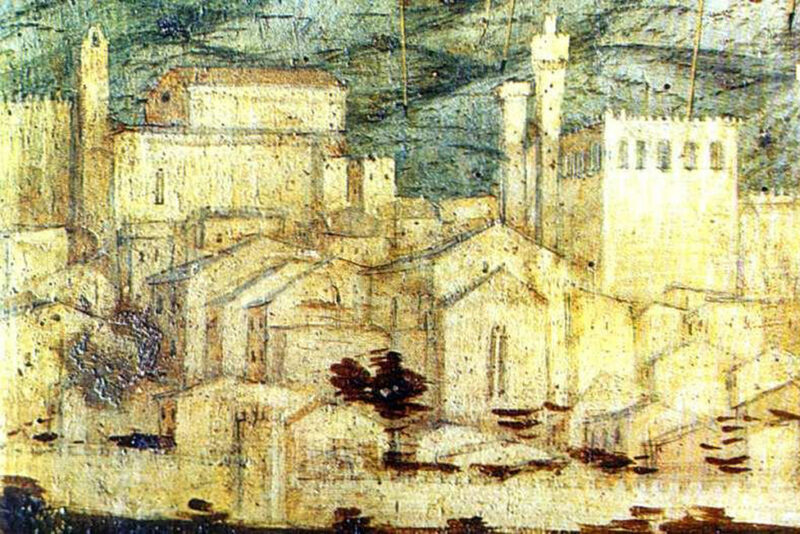 For many years, the city’s overall colour was solely and overwhelmingly determined by construction materials: stone and brick masonry, occasionally cloaked in a thin coat of lime, roofing, sometimes stone slab, but more often in pantile and roof tiles, opening windows, if present, occasionally framed in simple wood. More vibrant façade colours date back to the last two centuries “(in Arezzo) … this yellowish coloured stone … creates a beautiful effect, coupled with the yellowish or orange plastering and the green shutters which stand out and bring it to life”. Eugene Muntz 1897. Previous tradition continued after the war, however soon colours became fainter and faded into uncertain tonalities. 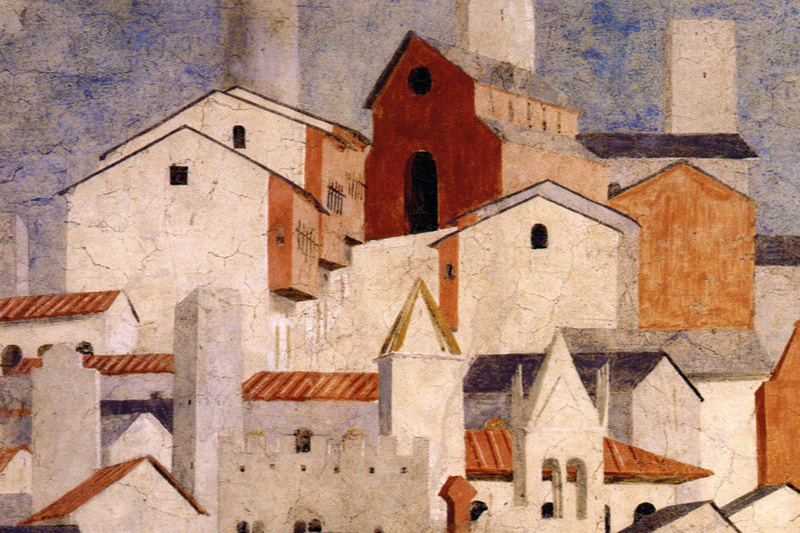 The traditional set of hues was lost and lastly, the near-infinite array of colours deteriorated, resulting in an undefined city, devoid of any characterisation. 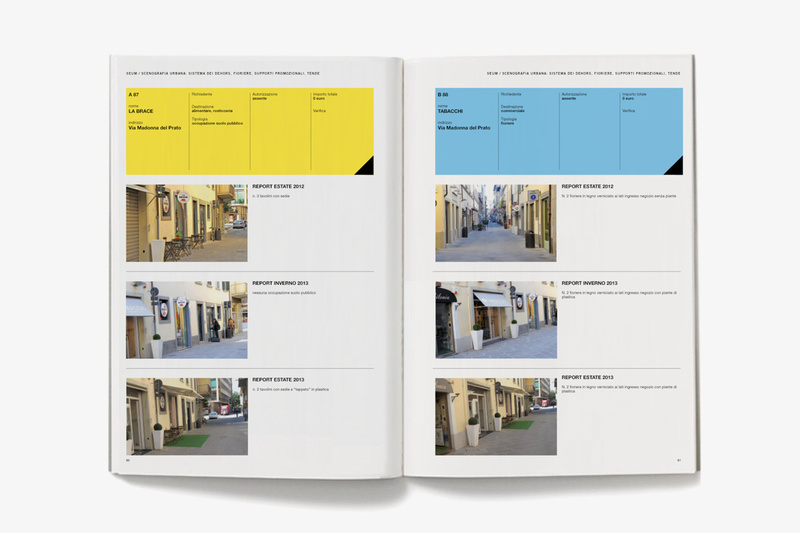 This project involved tracing back the genesis of the place’s colours, starting from an analysis of the territory and the study of documents, works and iconography, the analysis of diagnostics, images and accounts. 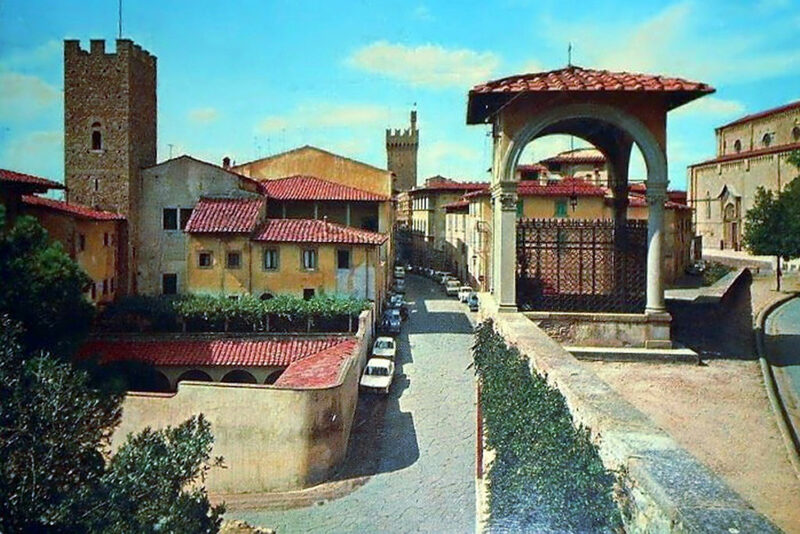 Proposals were presented as potential solutions which could restore dignity and identity to Arezzo in a panorama independent from southern Etruria. 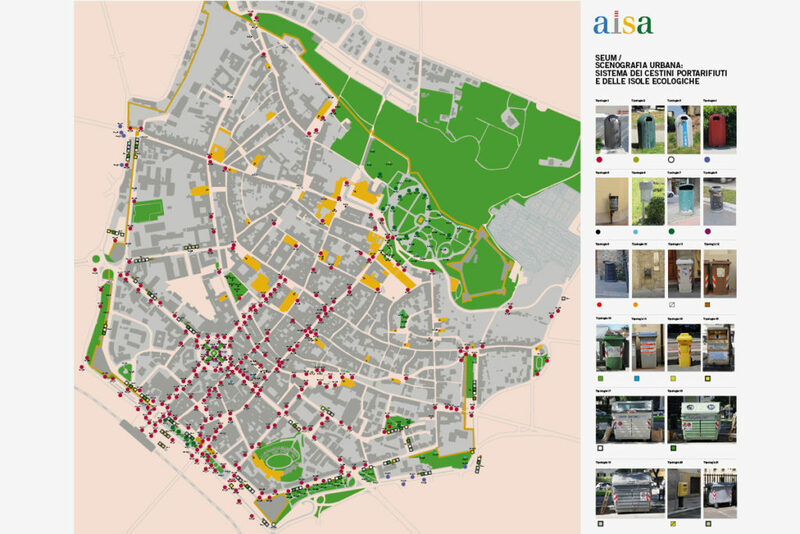 The system of outdoor areas and signs was analysed over two years during the winter and summer. Photographic surveys were carried out along with a preliminary verification of outdoor area licences and correspondence with actual licensed surface area. 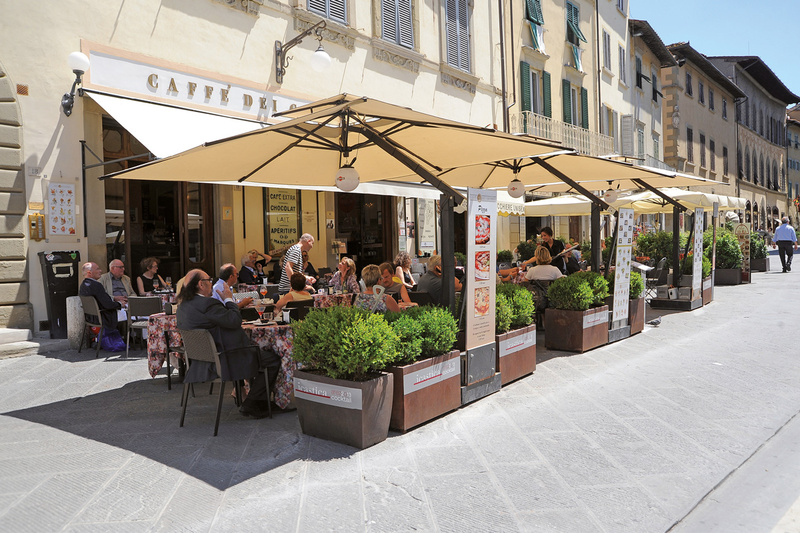 Types of outdoor areas were analysed: structures, umbrellas, chairs and tables, flower pots and above all signage: menus, advertising boards and panels, direction signs. All the information was used to draw up an articulated and comprehensive document, in turn used to draft municipal regulations. 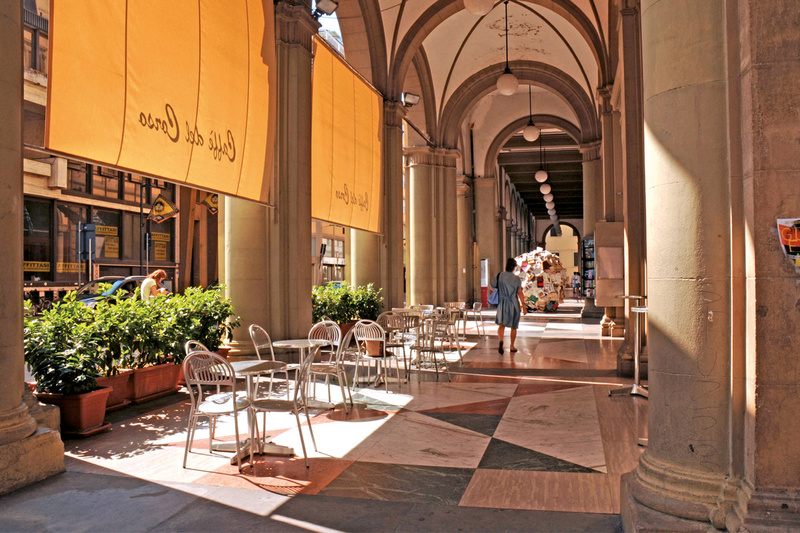 The aim was to achieve alignment with a series of elements which play a big part in determining the city’s image (especially at eye level), to generate a coordinated, more harmonious and welcoming image for visitors and tourists. An analysis of the waste container and separate domestic waste collection system (currently based on a scheduled door-to-door collection system, with rubbish bags left out on the road for several hours) identified the status quo as a significant interference in the urban space and provided some ideas for change. 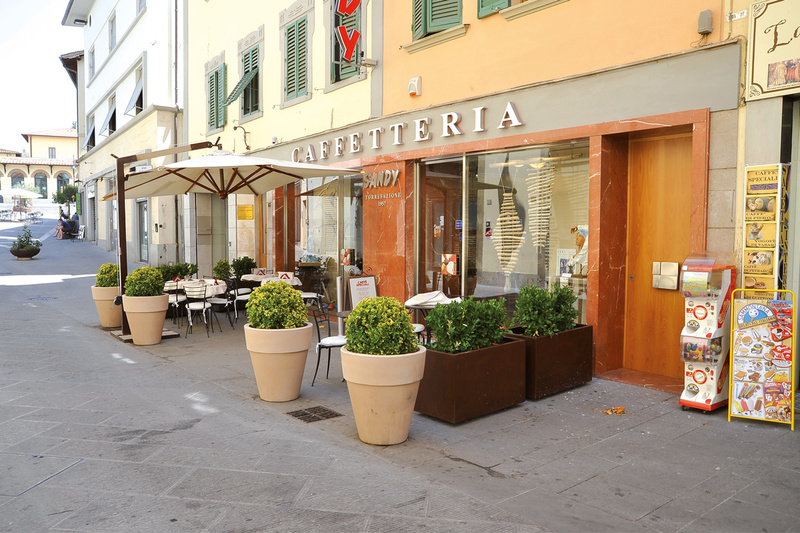 Suggestions included the relocation and reduced frequency of litter bins, far from “panoramic” areas, while ensuring they remained easily accessible. 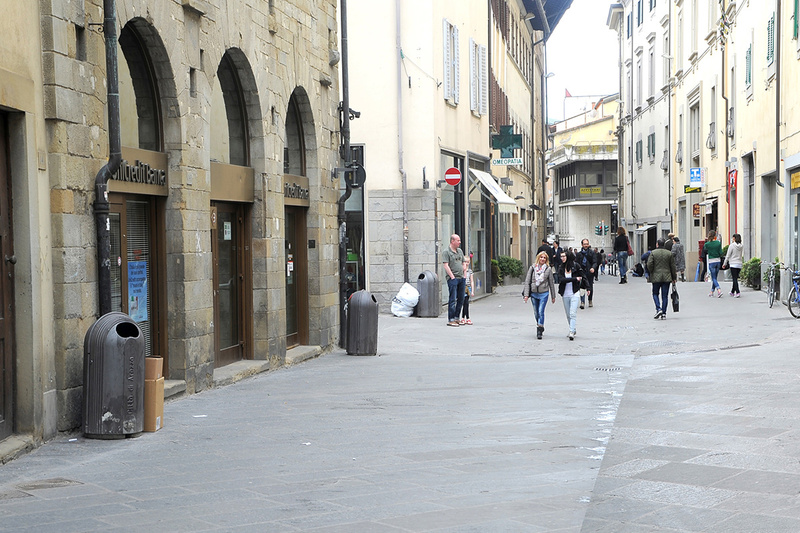 Indications for the more orderly positioning of garbage bins and banks in the lower part of the city also included the possibility of their replacement with underground waste separation and recycling areas. 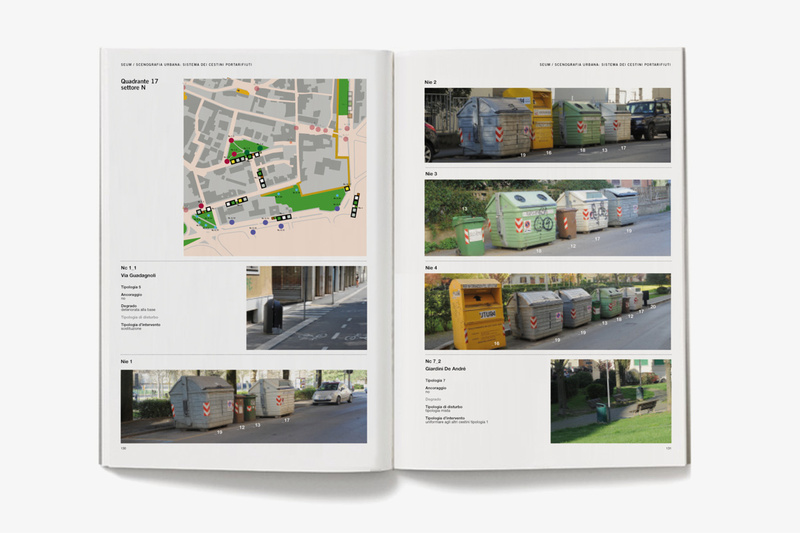 Underground waste separation and recycling areas were also deemed to be the most appropriate solution for the upper part of the city, where door-to-door waste collection is implemented, to prevent the daily and continuous presence of waste collection vehicles. More importantly, this solution aims to resolve the problem of waste along streets and roads during the day, a critical issue in terms of the environment and city image. 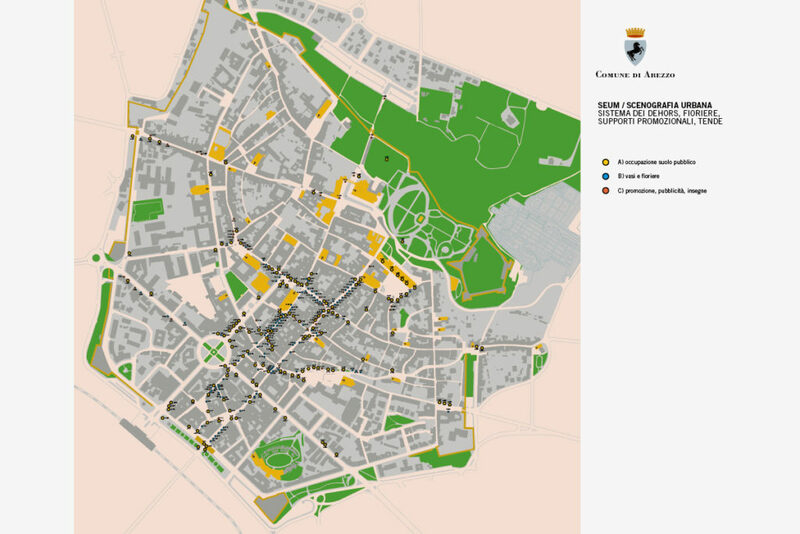 Given the lack of suitable underground areas, a mixed solution was developed, based on a series of designated and feasible sites for the historic centre, integrated with door-to-door collection in more difficult areas. 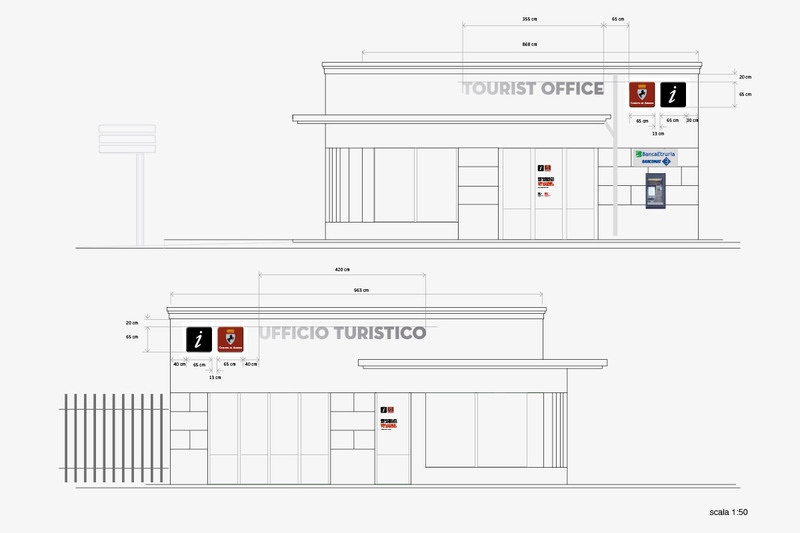 Promotion through the enhancement of the historic district and the discovery of Place Identity as a distinctive and original feature, led us to examine the Reception issue regarding the main tourist office located near the railway station, neglected and abandoned as well as its surrounding area. 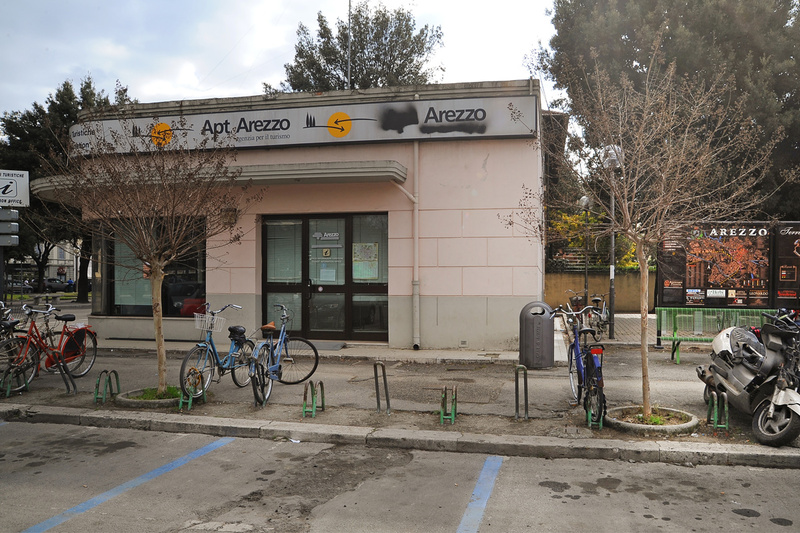 Hence the need for a redevelopment of this building and the adjacent area through a process of “adoption” in which we were engaged on a voluntary basis both for the project and for its implementation in collaboration with other volunteers. The redevelopment has been accomplished by ‘adopting’ the project. 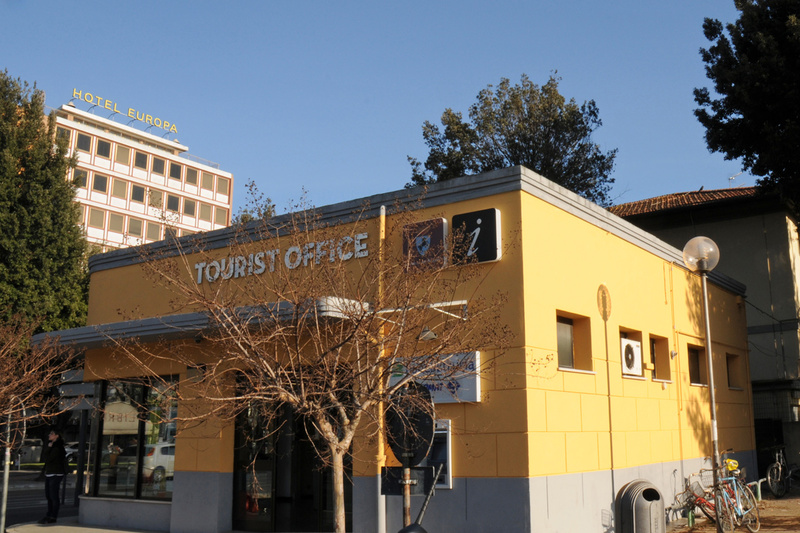 SEUM and several citizens voluntarily participated in the recovery of this building and its surrounding area, in collaboration with the municipal administration. 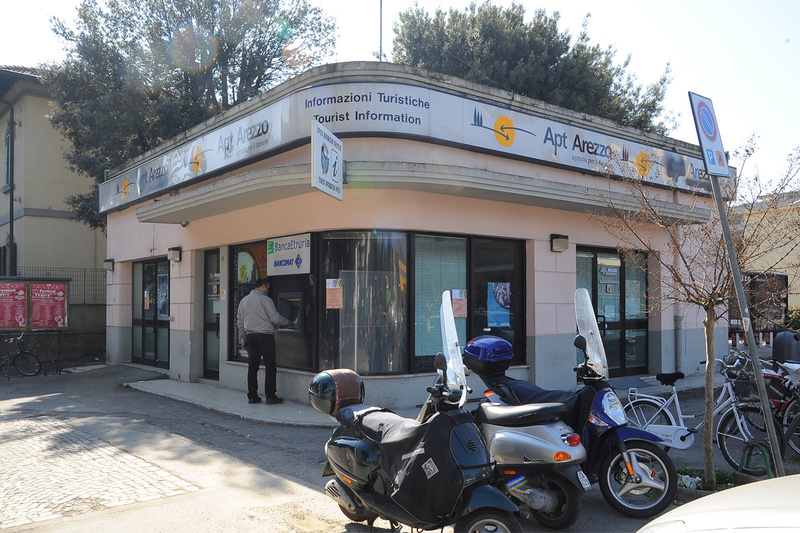 The project consisted of a new arrangement of the interior spaces, moving the ATM machine to another position, replacing the bulky and energy-consuming signboard, internal and external whitening, restoration of the toilets, installing a platform roof and external paving. 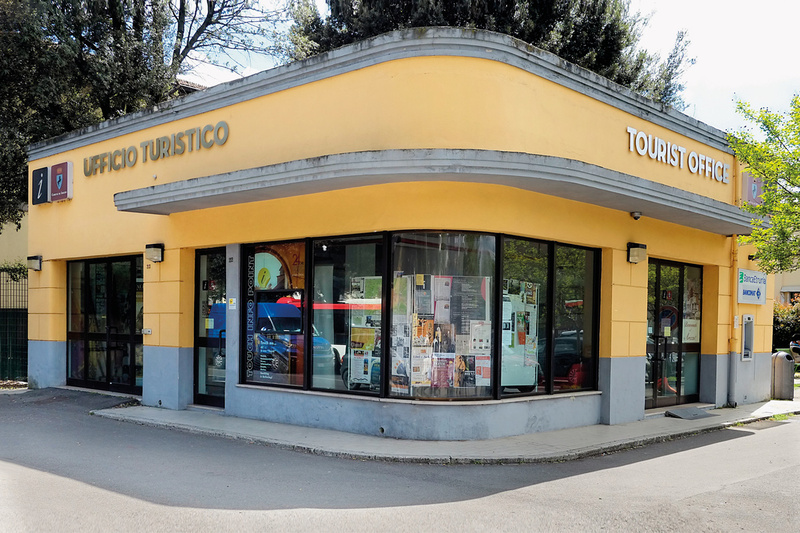 The Tourist Office used to be a garage and gas pump in the fifties and sixties of last century. 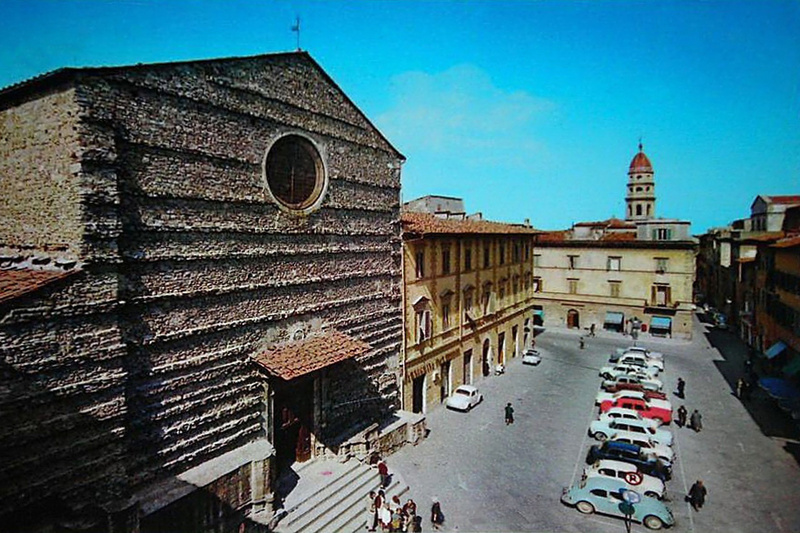 Its original architecture has been recovered by painting the building in striking colours recalling its original aspect, in order to highlight its shape. 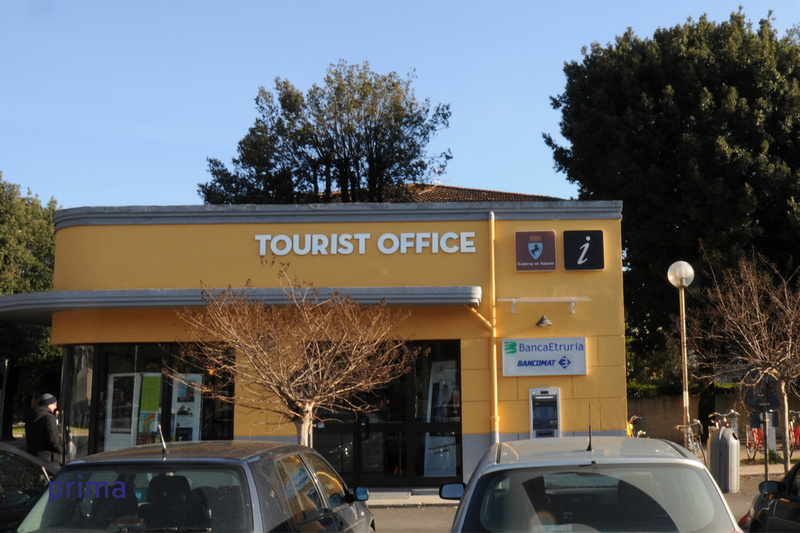 Moreover, the protruding signboard was replaced with a “Tourist Office” inscription whose lettering recalls that period. Metallic letters were attached directly to the wall with a small ledge, lined along two small illuminated signs.The lighting system has been conceived to save energy and draw one’s attention to both the city’s emblem and the caption “Information Point”. – the youth of today will become aware citizens of tomorrow. 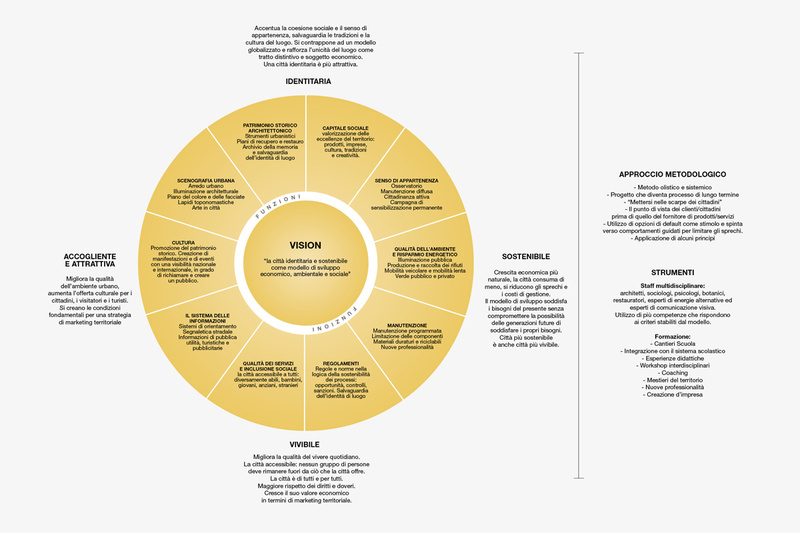 In terms of social investment, involvement and urban design education processes facilitate the growth of citizens who are more likely to participate in the future management of public resources. Such processes have a strong educational value, both for these individuals and for society as a whole. 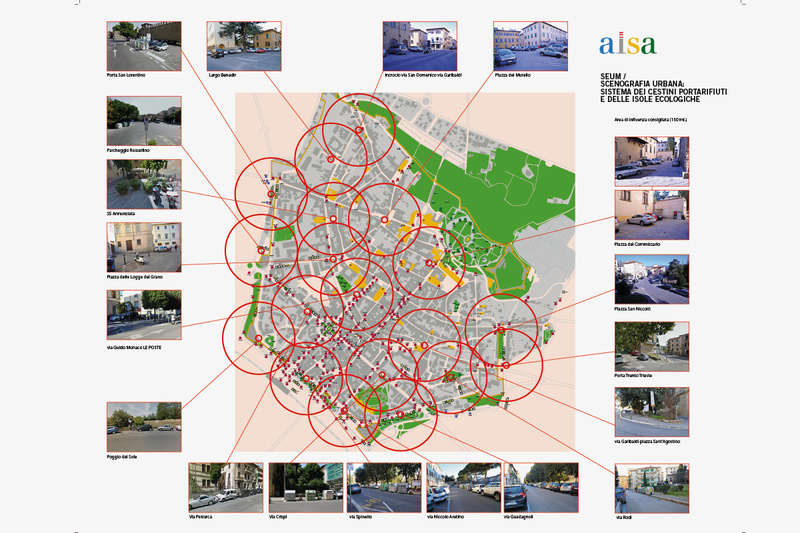 Placing children at the centre of urban transformation processes generates positive outcomes on the effectiveness of overall works with the adult population. The special relationship children have with nature, their ability to effortlessly imagine utopian visions, to envisage a global and interconnected vision of the environment, means that often projects developed by them are based on more eco-sustainable and simpler notions, characterised by a remarkable sensitivity to needs. 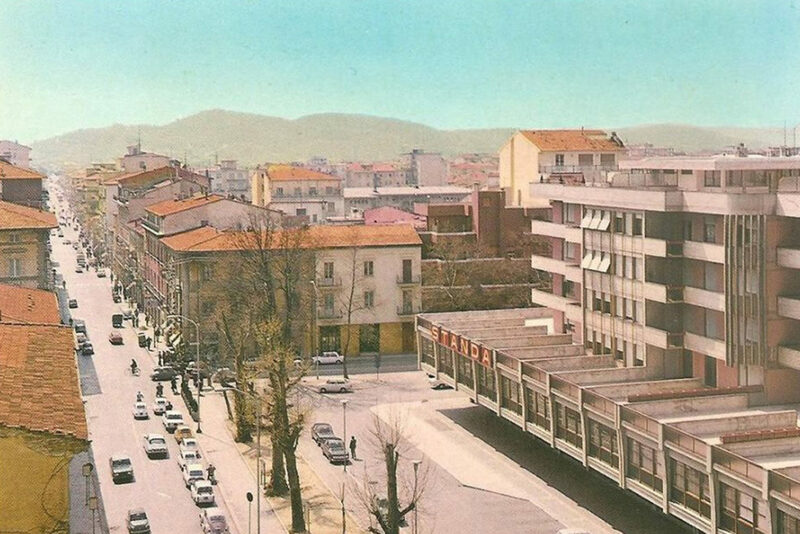 The urban setting project, decorum, urban sustainability and in general transformation processes under way in Arezzo must inevitably interact with children. 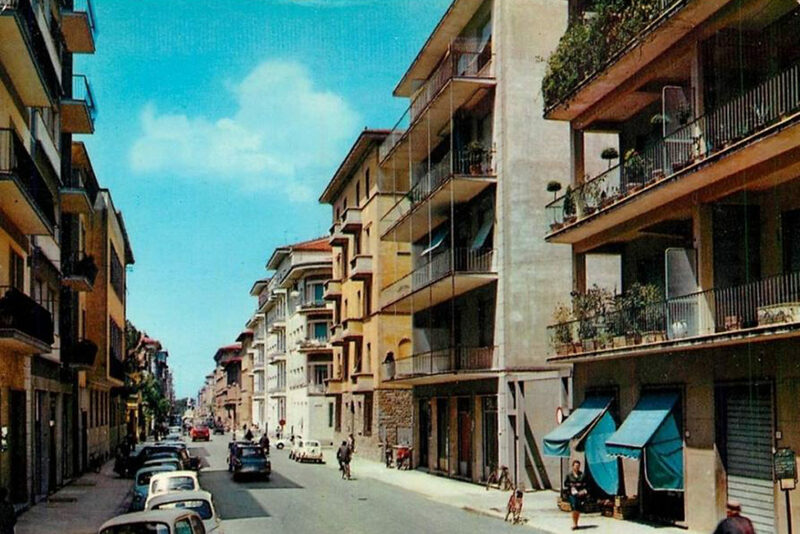 Not only in view of the aforementioned reasons, but also due to the intrinsic fragility of children: the identification and resolution of problems and critical issues will determine to what extent the city will become visible and liveable for all segments of the population. The work plan with school children was developed over an entire school year and involved guided walks and visits in the city at different times of the day. Two types of walks were organised: free-exploration walks, during which students led guides towards desired locations, via short cuts or by avoiding difficulties. During the second type of walks, guides led students along adult paths and identified critical issues together with them. 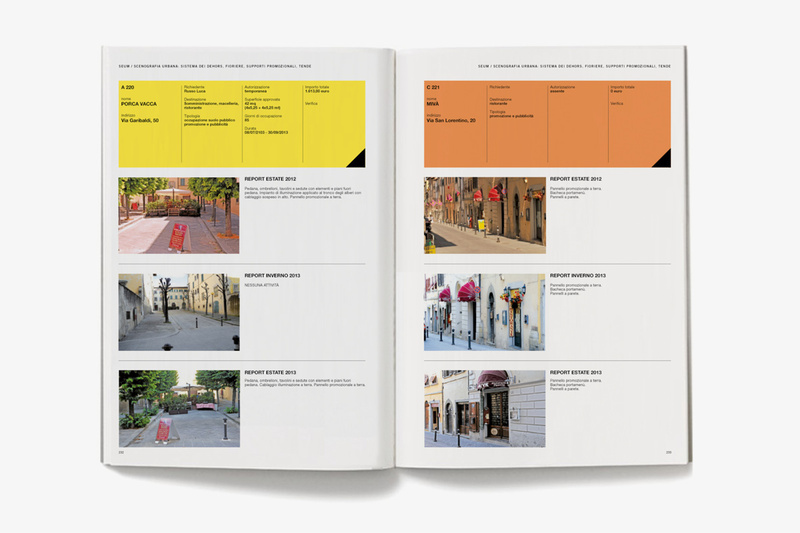 These walks were followed up by meetings and workshops during which images were used to recount and analyse the city, in order to develop the theme of place identity in particular. 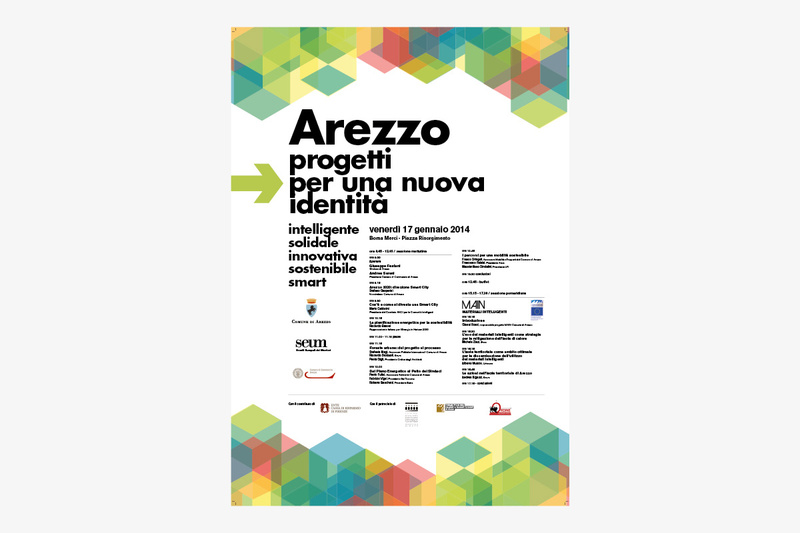 As part of Arezzo Città Sostenibile and in collaboration with the Municipality of Arezzo and the Chamber of Commerce, Seum organised the convention “Arezzo, projects for a new identity” / supportive, innovative, sustainable, smart. The initiative took place in two sessions, one in the morning centred around the general theme of the Smart City, mobility and Urban Sustainability, followed by an afternoon entirely dedicated to the MAIN project, Intelligent Materials, the project funded by the European Community, involving SEUM as a partner. 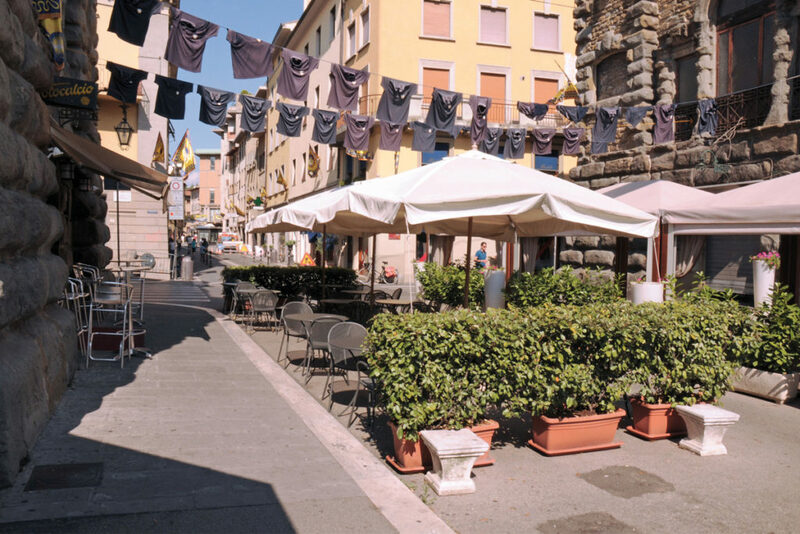 The event was a success thanks to the contribution of Fondazione CR Firenze which organised the day, as well as professional associations from the Arezzo Province. Approximately 250 people attended the conference and were offered the chance to receive training credits for their respective trades. Key speakers included Mario Calderini, President of the ANCI Committee for Intelligent Communities, Riccardo Basosi, Italian energy representative in Horizon 2010, Michele Zinzi from ENEA (Italian National Agency for New Technologies, Energy and Sustainable Economic Development) and Alberto Muscio UNIMORE (University of Modena and Reggio Emilia).